Purple is a fashionable color with a mysterious vibe. For all makeup enthusiasts and the makeup beginners, the purple eye shadows must be a necessary shade in their cosmetic boxes. Whatever occasion you are going to attend, the purple shadow will always be gorgeous! 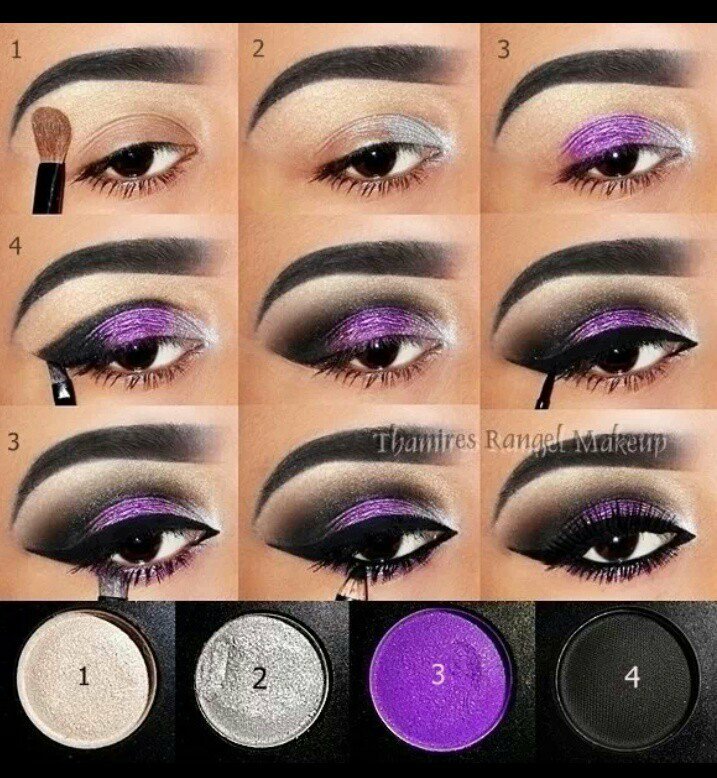 But if you don’t know how to apply the purple shadow in a right way, you may look dull and as if your eyes were hit by others. That’s too terrible. 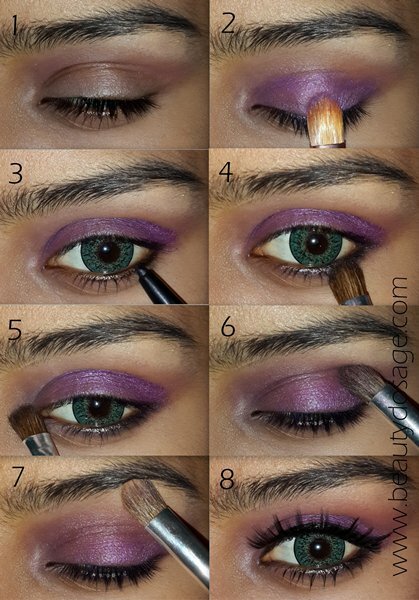 So, in today’s post, we are going to show some fashionable purple eye makeup tutorials for you. Although they are smoky makeup, they are of different styles. You can check them out and find the suitable one for different occasions. Scroll down and follow the tutorials! Enjoy! This shimmer smoky makeup catch our attention instantly the moment it appears to us. There are different shades of the color purple, but this one must be one of the most fantastic shades, neither too dark nor too light. If you want your eyes look bigger, just apply the thick curly false lashes. This is a wonderful makeup look for parties and night-out gatherings! 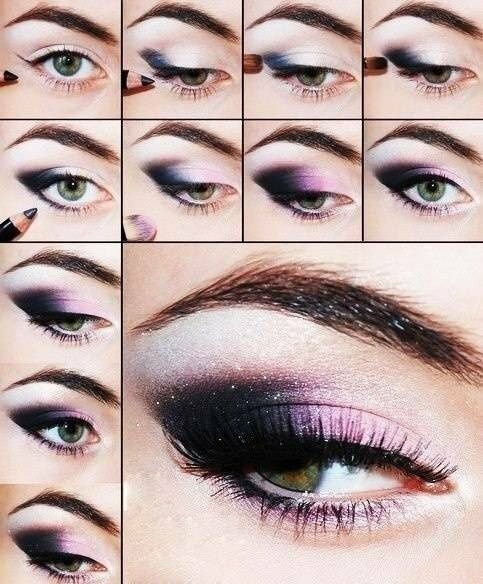 This picture shows you the clear steps of how to get a stunning smoky eye makeup. 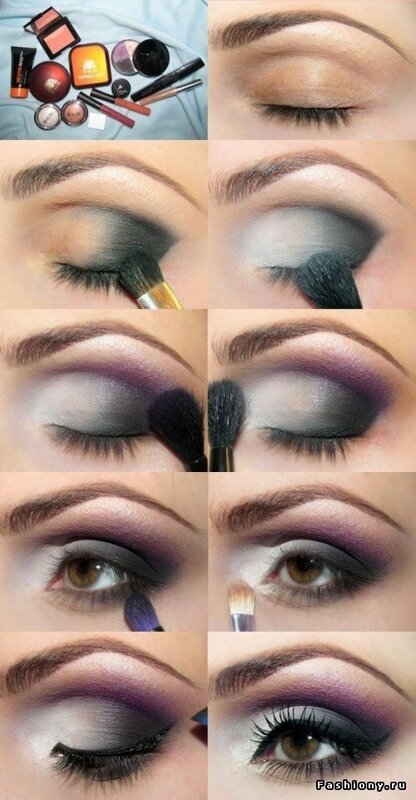 When you mix the purple shadow with the black shadow, you can create an effortless smoky look. As for this shadow color, I don’t think it’s great for work or some formal occasions. 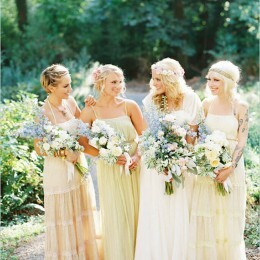 But it will be an ideal look for proms and holidays. Most of the time we just apply the dark shade onto the outside canthus section, but you will find that when the dark shade is applied onto the inner corner of the eyes, the eyes can become so attractive. Full eye liner are drawn to make the eyes look deeper and it is the appropriate long lashes that set the pretty eye makeup off. 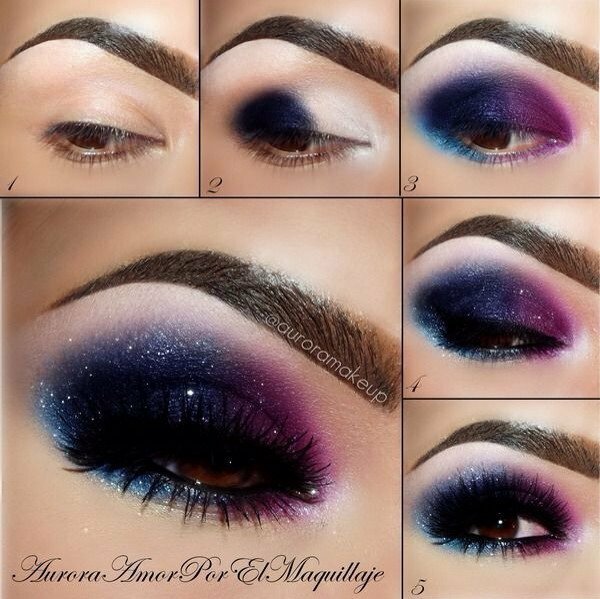 It is such a beautiful purple eye makeup created with different kinds of purple shadows. 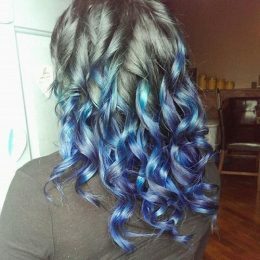 For a natural look, you can just stop as you have finished the ninth step. It’s quite pretty and suitable for all occasions in our daily life. 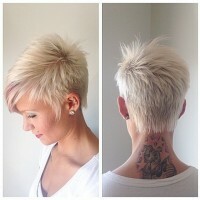 But if you want a more sophisticated look, just follow the whole steps. 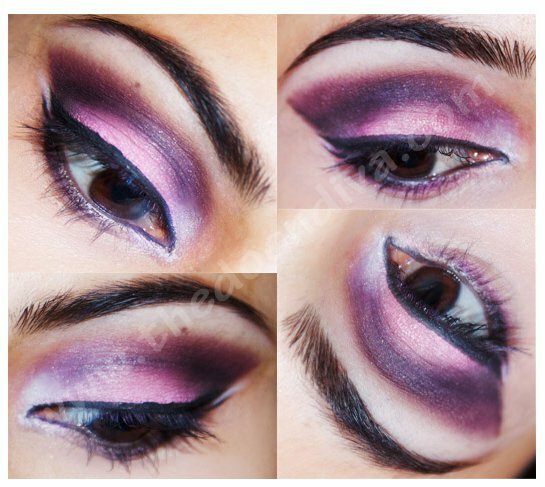 This is another interesting and fashionable purple eye makeup for the party! It’s a smoky look created by mauve, magenta and gold. The lower eyelid has been filled with the white eye liner, which will create a watery and bright look for your beautiful eyes. Don’t forget to draw a black cat eye liner and apply the mascara on both the up and the down lashes. They will make your eyes talking! So dazzling! It ‘s really gorgeous! 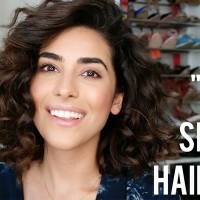 This chic and sophisticated heavy makeup make it possible for every women to try this look! Whether your eyes are small or big, whether your eyes just have single-fold eyelids or double-fold eyelids, you can always look perfect with such a pretty eye makeup! 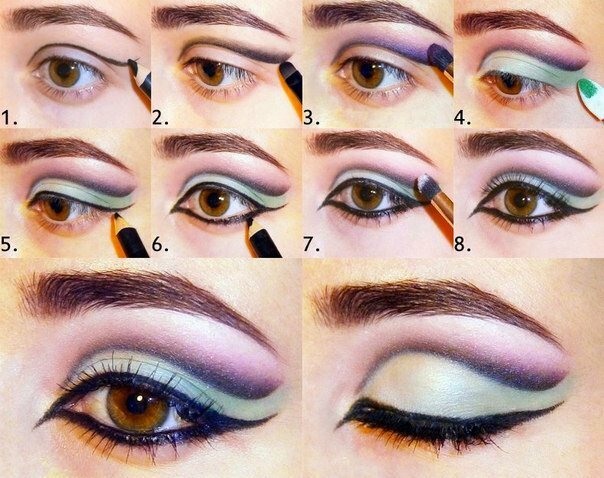 When you are hanging out with your friends, just take your time and follow the steps to get an eye-catching look! 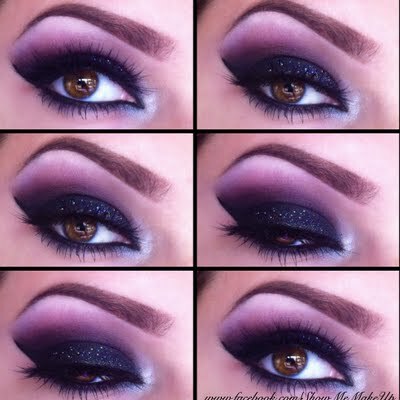 Here is another chic smoky makeup with the purple eye shadow! It’s more graceful than the former one and can be rocked for more occasions, such as the proms, parties, dates and even for work. The transition of different-color-shades are so perfect! I love it! What about you? For mature women, the grey smoky makeup with a flush of violet shade may be an elegant yet rather stylish look. 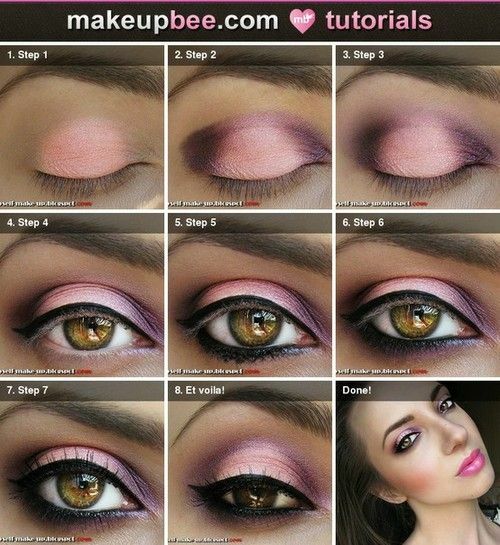 Follow the steps and you can get such a pretty look! This is too dramatic! Maybe you can do such a makeup look for fun when you have the chance to attend some theme parties! The cat eye liners and the bronze eye shadows will never fade away! 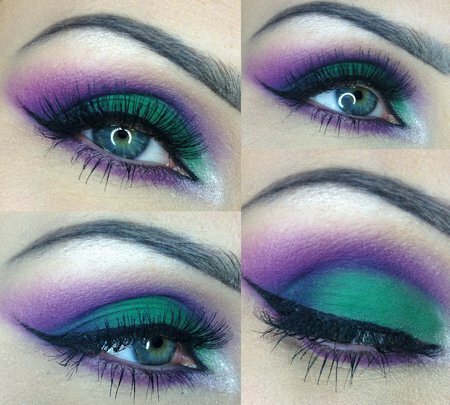 But if you want the basic look to be more fashionable, just try to add the purple shadows onto your eyes! 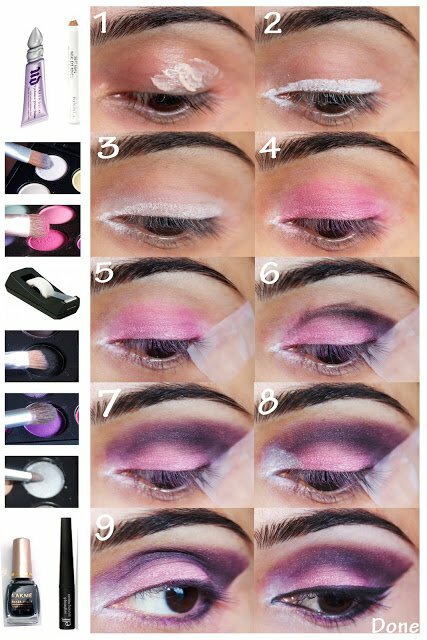 Many young women like the purple shadows and they also like the pink ones! But I’m sure you will never know that this two lovely shades can create a highly faddish retro-chic look! It must be a perfect choice as your next party look! 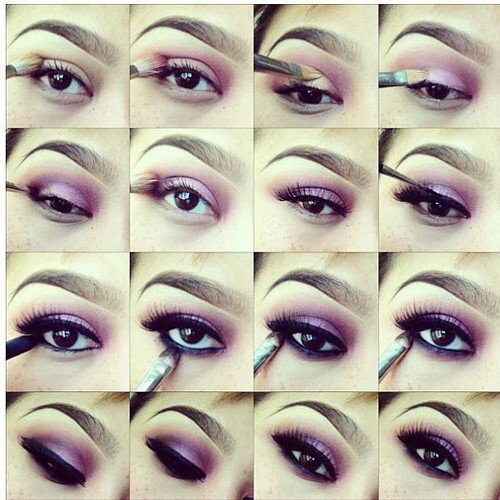 This purple makeup is more natural and fresh for daily life. It is suitable for all occasions and never be wrong! Don’t stop! 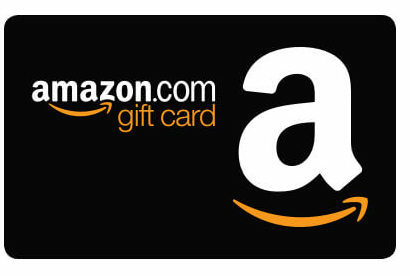 Here are more for you to find out! No matter you are looking for a special look for some certain occasions, a lovely look for your dates, or a simple look to spice up your everyday look, you can find what you want here! Just keep checking them out!